Egg rolls are one of the most popular dishes in Chinese cuisine. You can serve this delicious dish as an appetizer/starter, a snack or even a main dish. It’s often the case you will need to prepare many of them for a party or family gathering and you will need to freeze either or both cooked and uncooked eggs rolls. 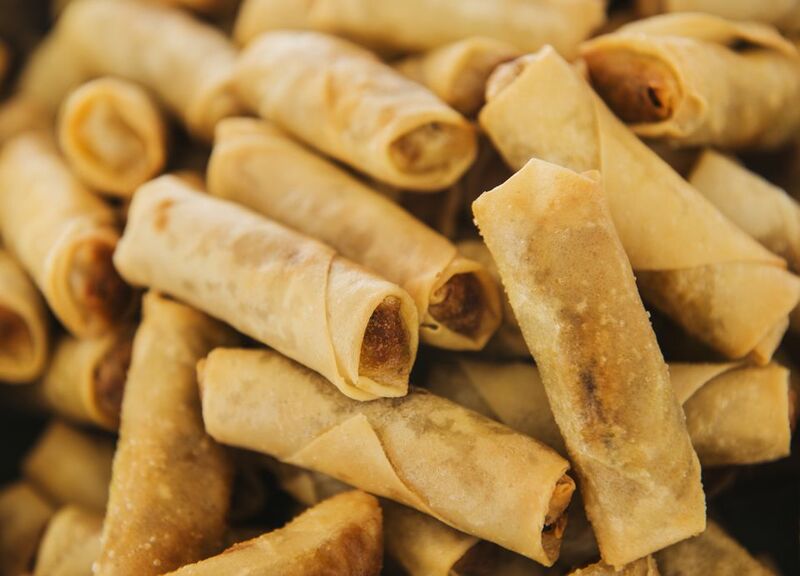 But you might be wondering, what is the best way to freeze egg rolls? Freezing both uncooked and cooked egg rolls is pretty easy but in the case of the latter, once cooked, you’ll need to give them at least 1-2 hours to cool down before freezing. Generally, you can just take frozen egg rolls out of the freezer and drop them into a deep fryer straight away. But remember to use a medium-to-low heat to fry them first then turn the heat high for a couple of minutes until the egg rolls have turned a nice golden color with a crispy texture on the outside. Line a sheet of parchment paper or wax paper on a freeze proof tray. Line up the uncooked egg rolls on the parchment paper with some space between them. Some people might coat the egg rolls with a little bit of cornflour just stop them from sticking together. I personally think as long as they have some space between them they should be fine without the corn flour. But this is entirely up to you. Wrap the egg rolls with cling film. Remember to wrap them really tight so there is no cold air to dry up the egg roll wrappers during the freezing process. Leave the egg rolls for 1 hour and check if they have turned hard. If they are hard you can then store them in a freezer bag. Make sure you try to squeeze out as much air from the freezer bag as possible. When ready to serve, you just need to take the egg rolls out of the freezer bag and pop them into a fryer to deep fry. But remember to use a medium-low heat to fry them first. If you use high heat to fry frozen egg rolls the wrappers might pop open. Usually, I use a medium-low heat to fry the egg rolls for 3-5 minutes but this depends on the size of your egg rolls. I will then turn the heat right up which will give the egg rolls a lovely crispy texture and an even nicer golden color on the outside. You must wait for the cooked egg rolls to completely cool down before you store them in a refrigerator or freezer. Once the cooked egg rolls have cooled down, wrap them with cling film tightly. Place the wrapped egg rolls in a plastic bag and freeze. Reheat the egg rolls in the oven or fry again without thawing. If you choose to deep-fry them make sure you use a medium-low heat first to cook the egg rolls through then cook them at high heat to crisp the wrapper. This will make sure the wrapper won’t pop open during cooking.